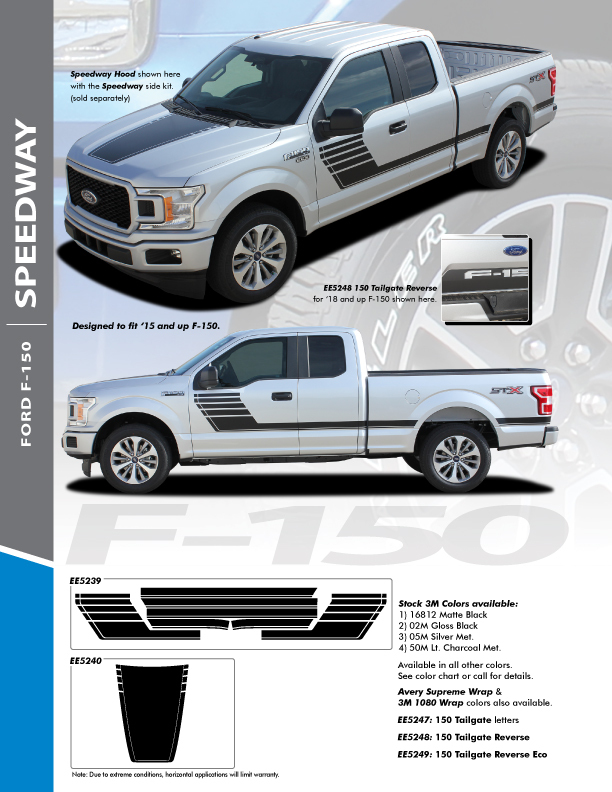 These SPEEDWAY SIDE KITS for 2015 2016 2017 2018 2019 2020 Ford F-150 graphic packages for Ford truck F-series F-150 pickup have been precision cut from the finest quality Ford F150 Side Vinyl Graphic Decals to give you a perfect finish that will last. Upgrade Today with Ford F150 Graphics Package from FCD. We ONLY use the BEST vinyl in our Ford F150 side vinyl graphic decals at Fast Car Decals. This kit is an internet top seller and we have them IN stock and ready for your Ford F150 Stripe Upgrade!